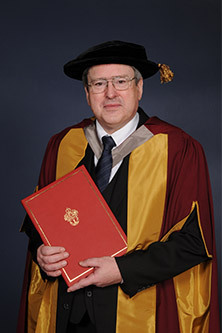 Professor Dr-Ing Jörg Steinbach was given an Award of Doctor of Science honoris causa by City in 2014. The President of the Technical University of Berlin (also known as TU Berlin) since 2010, Professor Steinbach has enjoyed an extensive and distinguished career in both industry and academia. He is globally recognised in the field of chemical engineering and holds the title of Professor of Plant Safety of Industrial Systems and Chemical Process at TU Berlin, one of Germany's most renowned universities. Professor Steinbach has demonstrated an outstanding commitment to engineering education in Germany and indeed at a global level, through his leadership of various international organisations. Since 2007, he has been the chairman of Germany's accreditation agency for programmes of study in engineering, computer science, natural sciences and mathematics. He is a Past President of the European Society for Engineering Education (SEFI). 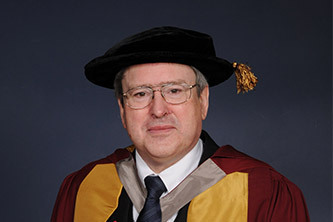 Alongside his counterparts at City, Professor Steinbach is also strongly committed to the World Cities World Class University Network (WC2), which has been developed to bring together top universities located in major world cities to address cultural, environmental and political issues of common interest. Born in Berlin in 1956 and married with three sons, Professor Steinbach loved science subjects from an early age and particularly enjoyed chemistry and mathematics. From 1975 to 1981, he studied chemistry at TU Berlin and took his doctoral degree there in 1985. He went on to spend ten years with the former pharmaceutical giant, Schering AG (now part of Bayer Healthcare), rising to the position of Head of Plant Safety in 1992. In 1994, Professor Steinbach earned his habilitation - the highest academic qualification a German scholar can achieve - in engineering chemistry, which also marked a return to full time academic work at his alma mater. Professor Steinbach is passionate about influencing the way engineers are educated and the impact of engineers on society. He urges engineering students to be curious, creative, precise, self-reflective and ethically responsible. He advocates that they should, above all, be imbued with a strong international outlook. "The education we provide at our universities determines the way a profession is performed by our graduates. At the same time this performance will determine the degree of benefit for the society and for societal development as a whole. In other words, the quality of the education we provide determines the quality of life for future generations. This holds especially true for engineering education."